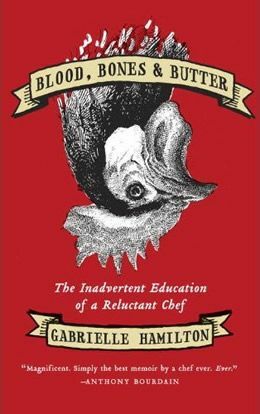 Gwyneth Paltrow is in negotiations to star the adaptation of the foodie memoir Blood, Bones & Butter. Marton Csokas has joined the cast of Darren Aronofsky‘s Noah and will star in the DirecTV series Rogue. Hit the jump for details on each project. Noah (Crowe) hears the voice of God warning him that the world cannot be allowed to survive in the corrupted, ruined form Noah sees around him. It is a violent, freaky, scary world that Aronofsky and his co-writer Ari Handel have created. I’m particularly excited to see how Aronofsky brings to life the Watchers, eleven-foot-tall fallen angels with six arms and no wings. They have a major presence in the script, and they’re fascinating. Early on, when Noah needs to go see his grandfather, he has to move through the homeland of the Watchers, something that is not easy to do. Additionally, Csokas will star opposite Thandie Newton in the DirecTV original series Rogue. Rouge centers on “an undercover cop (Newton) who goes after a crime lord (Csokas) after her young son is killed in a drive-by shooting.” Production begins next month in Vancouver for a summer 2013 premiere.